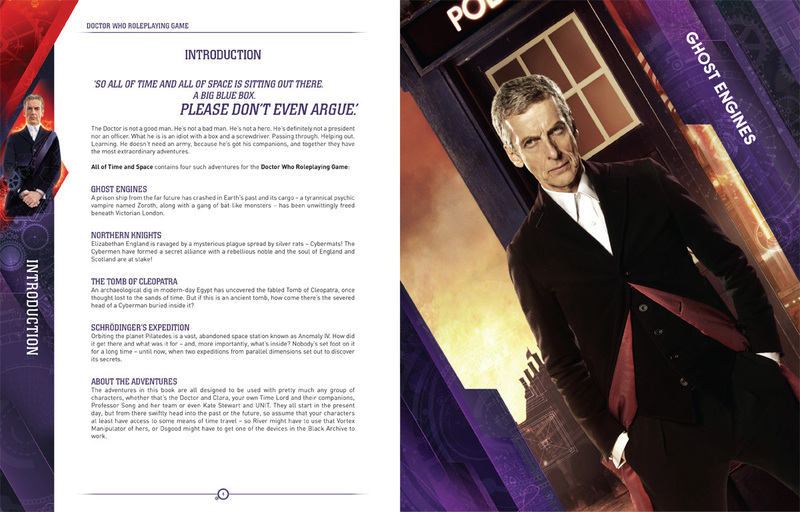 All of Time and Space Volume 1 is the first collection of scenarios for Doctor Who Roleplaying Game. 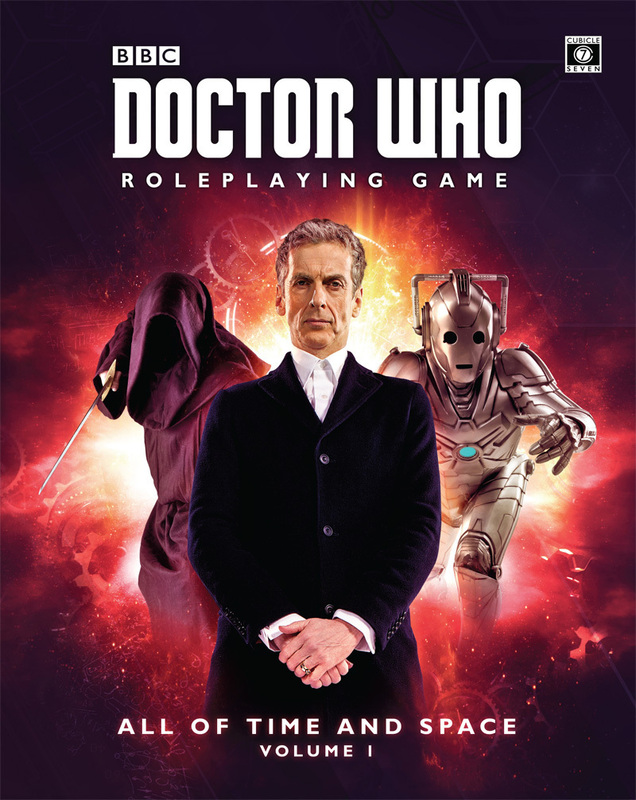 This 96 page, full colour hardback provides a convenient collection of four high quality Doctor Who scenarios so that you and your players can dive right into the adventure! All of Time and Space Volume 1 takes the Doctor and his companions to strange new lands and into conflict with even stranger alien foes. 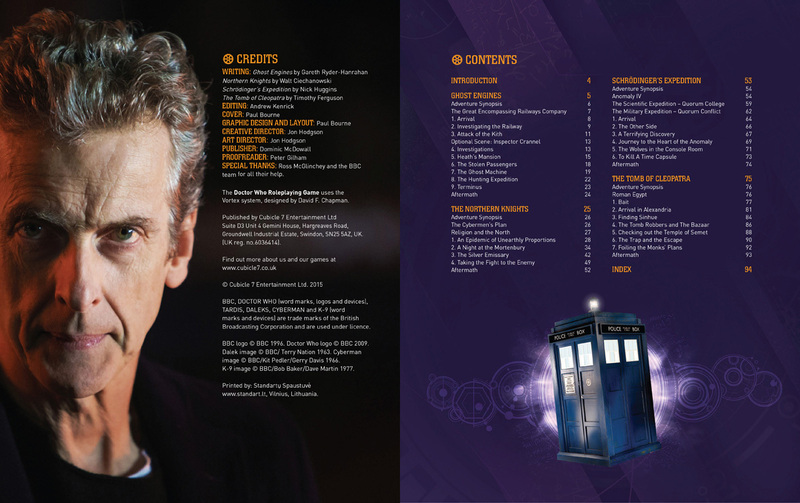 From alien artefacts in the Tomb of Cleopatra to ghosts in the tunnels beneath Victorian London, from silver rats and strange plagues in Elizabethan England to a mysterious space station straddling parallel universes, adventure is never far away when you’re the Doctor and his companions! Written by Gareth Ryder Hanrahan, Walt Ciechanowski, Nick Huggins and Timothy Ferguson.